"So while the assumption when I was born was that I was or would grow up to be a neurotypical heterosexual boy, that whole idea didn't really pan out long term. 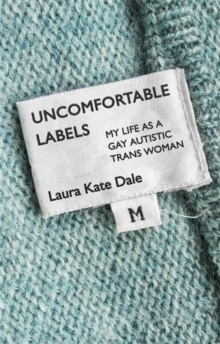 "In this candid, first-of-its-kind memoir, Laura Kate Dale recounts what life is like growing up as a gay trans woman on the autism spectrum. From struggling with sensory processing, managing socially demanding situations and learning social cues and feminine presentation, through to coming out as trans during an autistic meltdown, Laura draws on her personal experiences from life prior to transition and diagnosis, and moving on to the years of self-discovery, to give a unique insight into the nuances of sexuality, gender and autism, and how they intersect. Charting the ups and down of being autistic and on the LGBT spectrum with searing honesty and humour, this is an empowering, life-affirming read for anyone who's felt they don't fit in.